Chile is a unique country, with an unusual geography including different climates, from the Atacama Desert in the Northern end to the Antarctic in the distant South. Located on the South American Pacific cost, the country stretches over 4800 km (2982 miles) north to south and 180 km (112 miles) from the sea to the Andes Mountains.Between those distances is possible to enjoy mountain and ski, beaches and surf. It borders Argentina to the west, Bolivia and Peru to the north. The official language is Spanish even though other native languages are spoken, as Mapuche or Quechua. 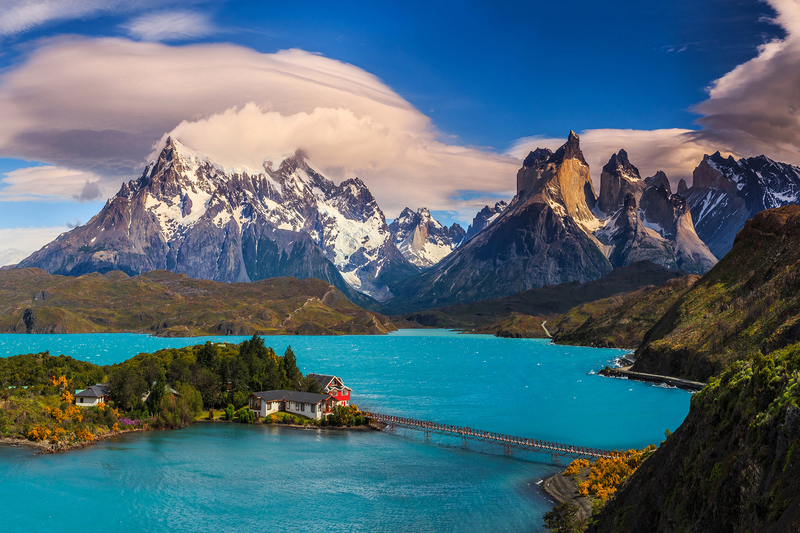 Chile houses some of South America’s most beautiful national parks ideal for adventure and eco-tourism.